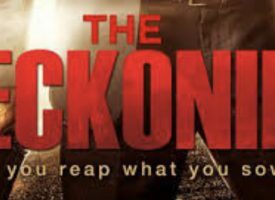 As we get ready to kickoff what promises to be a wild week of trading, today the man who has become legendary for his predictions on QE, historic moves in currencies, spoke with King World News about what is going to come as a massive shock to people. Egon von Greyerz: “This is the new normal”! That is what a professional advisor stated at a recent family office in London after I had outlined the risks due to the credit and asset bubbles. This is what is so frightening about any top in such an extreme economic cycle. Peak optimism and peak asset prices go hand in hand. I did not experience the 1929 crash or the depression, but a few quotes from that remarkable period of time expresses the typical euphoria at a market peak. Well we all know what happened. On October 29, 1929, the Dow crashed and bottomed in 1932 after a 90% collapse. “No cause to worry,” “New normal!” Well, human optimism has no boundaries. Egon von Greyerz continues: “I have had a front row seat at every major market fall since the early 1970s. In 1972, I joined a UK photographic retailer called Dixons. My first options were at 132 pence. At the bottom of the market in 1974 the stock was down to 9 pence, a 93% fall. Luckily, I didn’t have so much to lose at a young age but did buy more shares at 11 pence. Dixons was still profitable and the balance sheet was strong. But as a consumer durable stock it had a very high beta factor (moved faster than the market). But we did survive the shock which included an oil crisis and a coal miners’ strike that involved only having electricity 3 days a week in the stores. Eleven years later we had built Dixons to a FTSE 100 company and the leading electrical, electronic retailer in the UK. Just as people today believe that the current bull market will go on forever, we thought in 1974 that the depressed times would never end. Anyone looking at the chart above can see that the Dow is in a long-term uptrend. So the expression “stock markets always go up” seems correct. The only problem is that corrections can be very painful and wipe out many investors. Also, sometimes you might have to wait a very long time to recover. 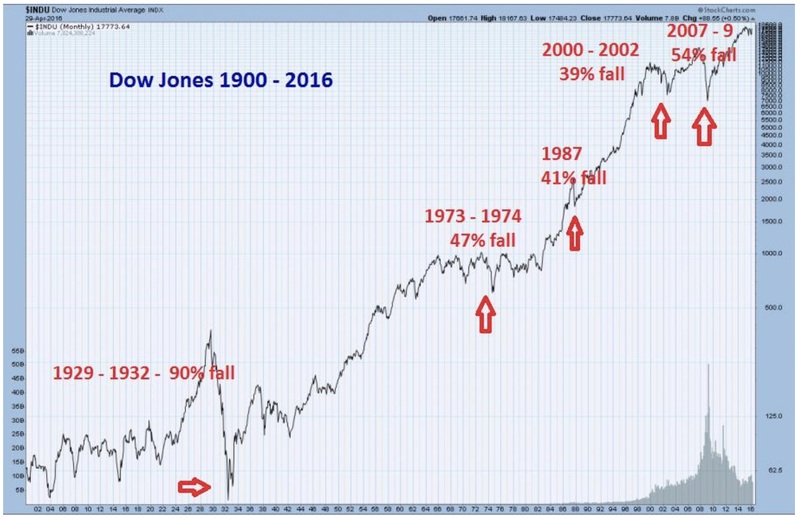 For example, after the 1929 peak it took 25 years until the market had recovered the loss. Thus, the highest likelihood, just observing the uptrend, is that it will go on forever with temporary corrections. But that conclusion does not take into account how the meteoric rise has been achieved. The explanation is of course simple. Since the creation of the Fed in 1913, there has been an explosion of credit and money printing. 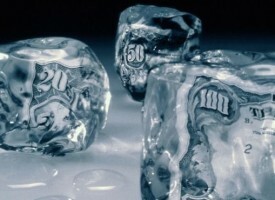 This has been the primary driver of all asset markets, including, stocks, bonds and property. Nixon closing the gold window in 1971 really turned on the afterburners. Thereafter debt and inflation have grown exponentially (see chart below). The above graph shows a very ugly picture. 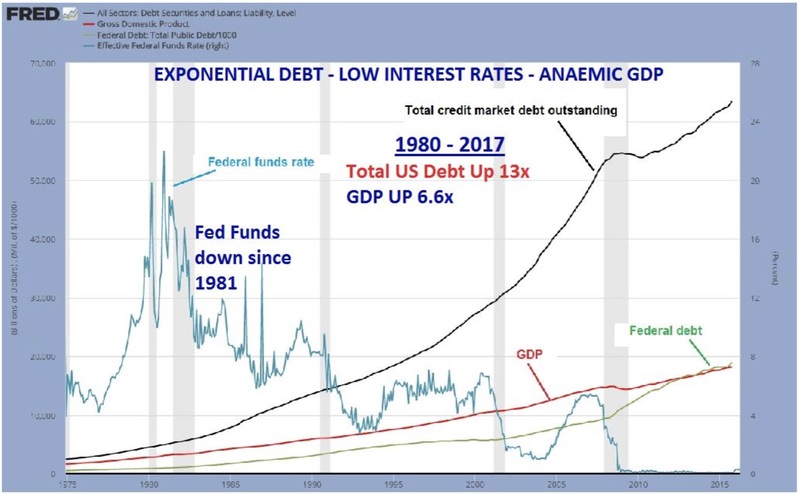 The US economic machine is running on empty, with debt going up exponentially and GDP slowing down in spite of interest rates at virtually zero. GDP for Q1 2017 is 0.7% annualized. I would not be surprised to see the growth going to zero or negative by Q4. The expanding gap between Total Debt and GDP is extremely dangerous. The American economy is now at a point when several dollars of additional credit is required to produce one dollar of GDP. Because of the anaemic state of the US economy, tax cuts, if they are passed, would only increase the deficit without achieving any real growth. So what can Trump or the Fed do to salvage the situation? Not much! Money printing hasn’t worked. 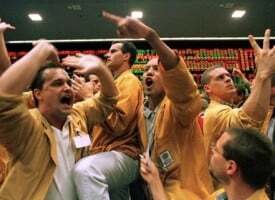 Record debts have just temporarily avoided a total collapse of the financial system, and interest rates at record lows give very little room to maneuver. 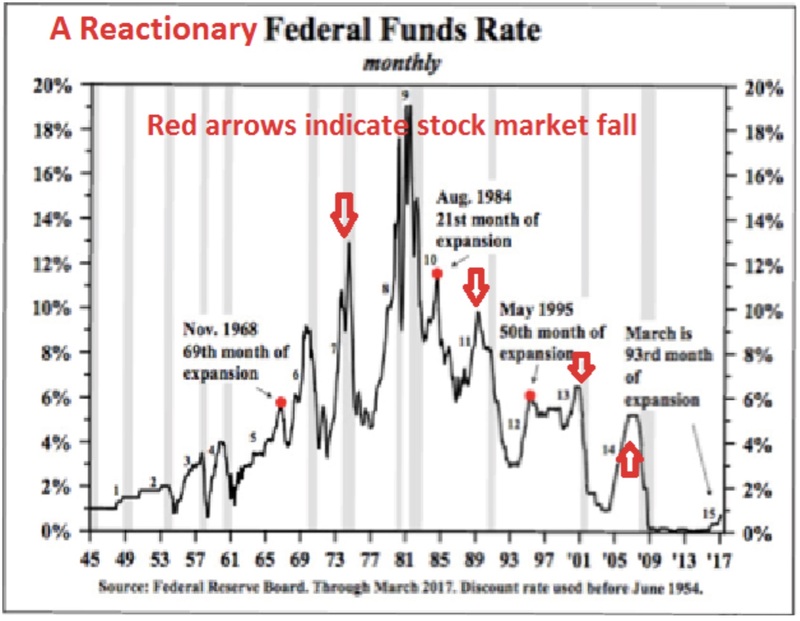 The graph below gives four examples how the Fed lowers rates as a reaction to a stock market fall. Since 2008, the Fed held rates at zero for 8 years and started raising them too late. The real US economy is now turning down again and the Fed thinks that they can increase rates at least a couple of times this year. Short term it looks more likely that rates will go down (see chart below). 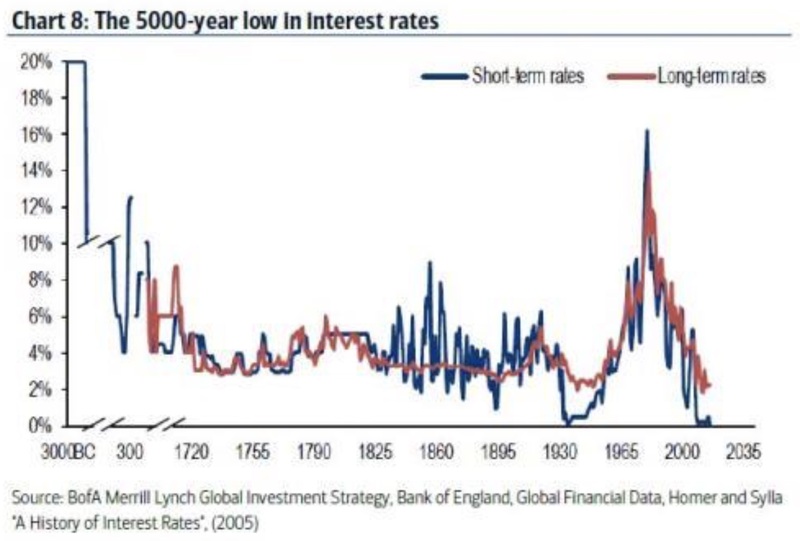 Interest Rates Now At 5000 Year Lows. In the medium- to long-term, there is only one way that rates can move, which is up. 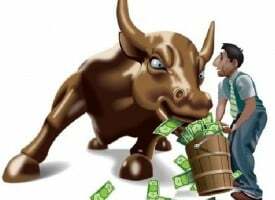 As the financial system comes under pressure in the not-too-distant future, money printing will resume once again and currencies, especially the dollar, will come under pressure. That will lead to the bond bubble bursting, with investors selling the long end of the market. As long rates go up, central banks will lose control of short rates, leading to high rates across the board. I experienced 15-20% rates in the UK in the 1970s. My first mortgage was at 21% for a while. Not many mortgage borrowers would cope with that today. I am quite convinced that as inflation picks up, rates will be in the teens again or higher, in the next few years. Many rates will reach infinity as bonds become worthless. 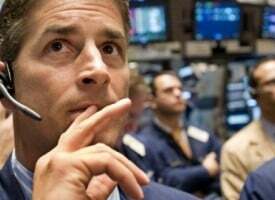 Coming back to the “New Normal,” virtually nobody believes that the valuations we see in the tech markets today are different to what happened between 2000 and 2002, when the Nasdaq crashed by almost 80% and many tech companies went under. I remember this period particularly well since I was involved with an e-commerce company at the time. At the end of 1999, I told my friend who was the founder that we must sell the company for cash or stock with no restrictions to sell. Valuations at the time were around 10x sales. None of the companies in the sector made any profit. We manged to sell it at a good price to a Hong Kong based Nasdaq quoted company. Like many others, the buyer was bankrupt a few years later.